A reporter literally agreed to not report potentially damaging information about a Democrat in a close race until after the election. And people treat Fox's and National Enquirer's actions as if they're unprecedented and unmatched. Reuters admits they had the story on all of Beto O'Rourke's old writings and interviewed him about it in 2017 and agreed to sit on the story until after O'Rourke's Senate run against Ted Cruz. This is why people do not trust the media. Reuters admits they sat on damaging story about Robert Francis O'Rourke until after his Senate race against @tedcruz. reut.rs/2Obod4Z Now, that's what we call collusion, folks. 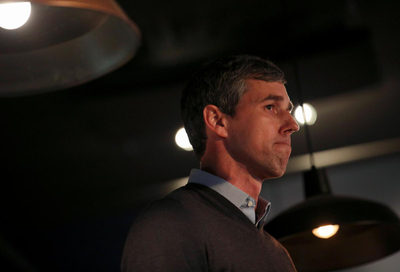 In an interview in late 2017, O'Rourke acknowledged that he was a member of the group, on the understanding that the information would not be made public until after his Senate race against Ted Cruz in November 2018. Reuters says it had some major reporting on Beto but agreed to hold it until after his Senate race. Uh... 🤔 "In an interview in late 2017, O’Rourke acknowledged that he was a member of the group, on the understanding that the information would not be made public until after his Senate race against Ted Cruz in November 2018."